After cutting off the perfect fillets from our recent fish purchases, I had a few end pieces left over. 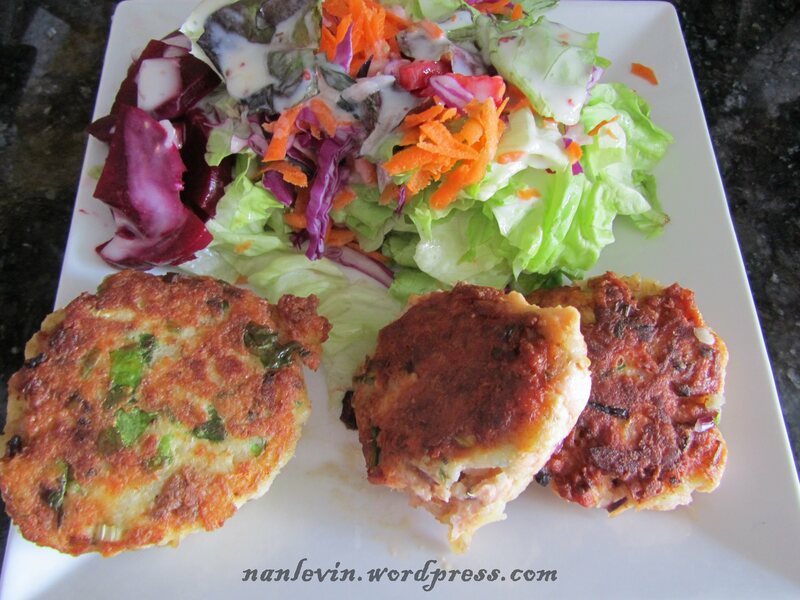 Too thin in my opinion to make a lunch meal with but just perfect for croquettes. So the freezer held a piece of sole as well as two pieces of salmon. I did not want to use a bunch of bread crumbs so I decided to make a baked potato and use that as the filler. cook the fish in a frying pan on medium heat with a small amount of oil, until almost cooked through. Set aside and let cool. Once cool separate into chunky pieces. 1 large unpeeled potato, washed, stabbed a few times and microwaved until cooked set aside and let cool. Once cool peel and cut into bite sized pieces. I kept the sole separate from the salmon by using two bowls and putting half of the ingredients in each bowl, but I think it could work combined also. Combine fish and potato and mix together. Add the balance of the ingredients. Mix well. Form into patties. In a large frying pan with a small amount of vegetable oil on medium heat, add your fish patties. Cook until crispy and turn and do the same on the other side. I love a horseradish ketchup sauce where as Joe prefers a tartar sauce. Serve with a big salad. Enjoy – we sure did! 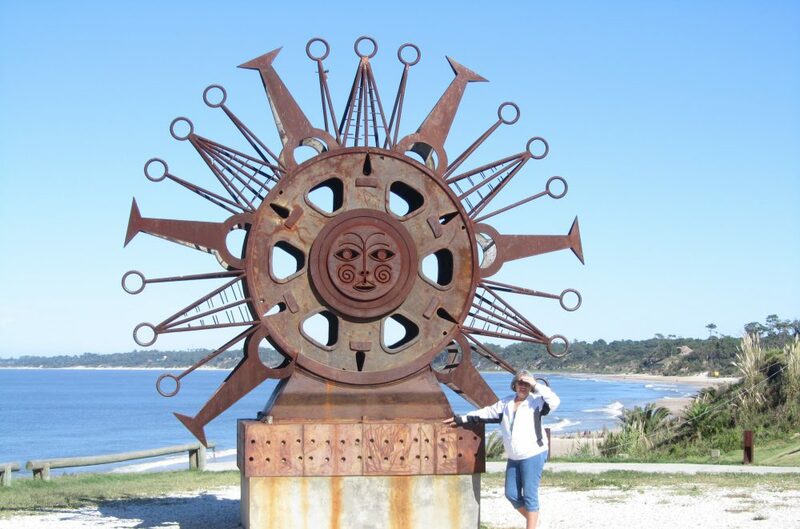 This entry was posted in Fish, Montevideo Uruguay, Salmon and tagged Beach living, food, Montevideo Uruguay, South American by Nancy Levin. Bookmark the permalink.